Antonio Margarito: Is Evil Something You Are, or Something You Did? Although obviously out of context when assuming the song’s actual meaning, these lyrics from the second verse of “Sister I’m a Poet” jumped out at me today while getting my daily Morrissey fix. I was reminded of Saturday night’s premier episode (possibly one of the best ever) of HBO’s “24/7: Cotto/Margarito.” Antonio Margarito’s character was put on trial in ways we haven’t seen since his return to the ring in May 2010. He was no longer given a pass— which in some ways, he had received during promotional buildups to fights with Roberto Garcia and Manny Pacquiao. Sure, the hand-wrap controversy was brought up…but even as Margarito was analyzed and scrutinized, he was ultimately accepted, if not completely forgiven. He had made a mistake (in some fashion), and it was over. Now that he’s fighting Miguel Cotto in a rematch…the tone has changed considerably. Nicknamed “The Tijuana Tornado,” Antonio Margarito earned, as Jim Lampley put it “the victory he’d been waiting for all his life” when he stopped Miguel Cotto in July 2008. That his next fight against Shane Mosley began so controversially, ending with such brutality, was not only surprising—it was downright shocking. Just before the fight, Mosley’s trainer Naazim Richardson observed something on Margarito’s hands during the wrapping. The material—that was later tested to be similar in nature to plaster of paris—was removed. The fight when on. Margarito was subsequently beaten down by Mosley, losing by way of TKO in the 9th round. The troubles had only begun. 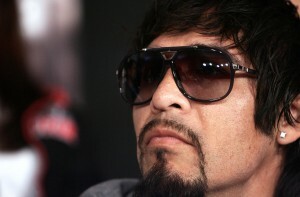 Margarito and then-trainer Javier Capetillo were ultimately suspended by the California State Athletic Commission. Capetillo is still unable to work a corner in many jurisdictions. Margarito would ultimately be reinstated, but each victory in his career had now been put into question. Had Margarito used the same hand-wraps against Cotto that he was suspended for trying to use against Mosley? Did he know? If he didn’t know…how is he so sure that Javier Capetillo didn’t insert them in previous fights without his knowledge? Did Antonio Margarito knowingly commit the cardinal sin in boxing by loading his gloves against Miguel Cotto in July 2008? Is Antonio Margarito a criminal? The story is far from having an end. We may not ever know for sure if Antonio Margarito cheated that summer night in Vegas…but we can be certain everything will be legitimate when Cotto and Margarito face off on December 3rd at Madison Square Garden in New York City. Antonio’s troubles haven’t stopped with the hand wrap scandal. His right eye, which underwent surgery after his bludgeoning in the Manny Pacquiao fight, is the question mark holding up his licensing in the state of New York. Arriving Sunday to meet with a doctor of the commission’s choosing, Margarito will need to undergo further testing to ensure licensing. We’ll know Tuesday if he does indeed get licensed to fight. These are the problems that don’t leave Antonio Margarito. These however, are also the reasons he is so beloved by fans. These are the truest of characterizations of a man who has been demonized by the alleged sins of his past. Watch the aforementioned fight between Manny Pacquiao and Antonio Margarito. Ask yourself if this is a man who isn’t fighting beyond himself, beyond his means, and beyond what normal people can do. Antonio Margarito is fighter. The beating that Margarito took from Manny Pacquiao was almost disturbing…Pacquiao breaking Margarito’s right orbital bone, ruining vision in his right eye which would require surgery. Probably career ending. Except it wasn’t…or…if Margarito has a say, isn’t. That is who Antonio Margarito is. If the fight doesn’t happen in New York, it will happen somewhere. As much as Miguel Cotto needs this fight for himself to right certain wrongs…Antonio Margarito needs it for the same said reasons. The fighting spirit of Antonio Margarito is what continues to inspire, even as his tragic downfall cannot be defended by even the most liberally inspired. It may not be the romance of crime though, but of the love affair we have with the criminal. Because for everyone who attempts that which could affect another…they still are attempting to help something, some other. In the ring, Antonio Margarito doesn’t need any help. He may not need loaded wraps either…even if there is evidence to suggest that in the past he has. A fighter—-is what he is. Boxing Insider’s Hans Olson can be reached at [email protected] Follow him on Twitter @hansolson.